Step One: Choose your mats by clicking on the box next to each mat item heading. 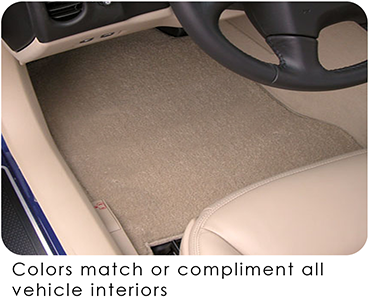 Step Two: Choose your mat color. Click on the box next to your selected color. 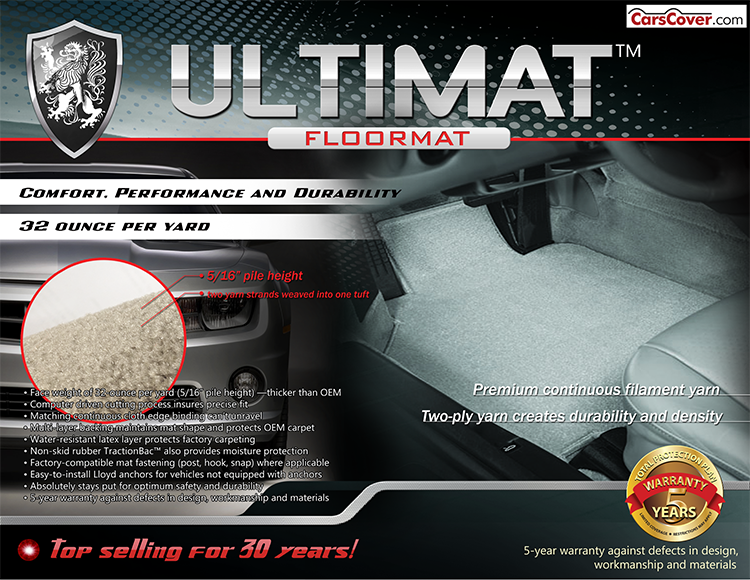 Ultimats material was originally designed for automotive use, with comfort, performance and durability in mind, and over 30 years later the Ultimat brand is still the top selling, custom fit logo mat in the automotive aftermarket. Ultimats feature a premium, continuous filament two-ply nylon yarn in a 32 ounce per yard construction. Twice the weight and density of original equipment mats, Ultimats dense construction and 5/16" pile height provide impressive long wear and true comfort. 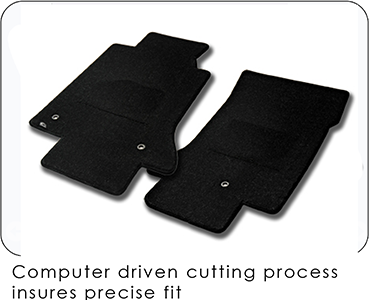 Our custom computer designed patterns are designed to provide greater coverage and protection than factory mats and a consistently precise fit from computer controlled cutting. 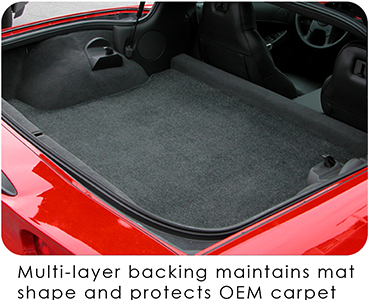 The durability of our carpet mat products is enhanced by our unique multi-layer backing providing stiffness, moisture resistance and anti-skid characteristics. 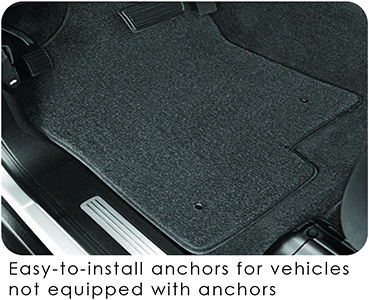 All our Mats are equipped with factory compatible anchors, or Lloyd's own, easy to install mat hooks. Available in over 50 popular factory matched colors and over 1000 logos, Ultimats custom fit mats offer great style, function and wear. Our Ultimat brand offers a superb combination of luxury, performance, choice and popular pricing.